This Survey Project is on going until the nomination to the national register has been completed and submitted to the Board of Directors at the Minnesota Historical Society in St Paul MN. 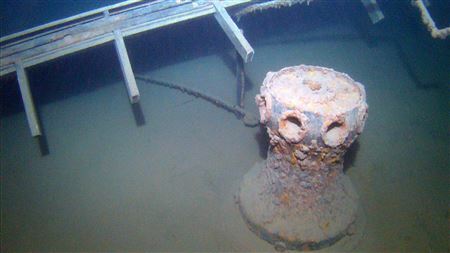 Harriet "B" Capstan Taken from Drop Cameras at 600 feet Deep. 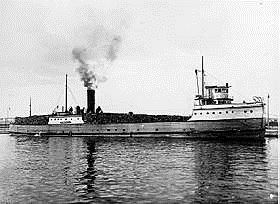 The Harriet "B" was discovered by shipwreck hunters in 2008 and had a potential to be nominated to the National Register of Historical Places. In this process the GLSPS needed funds to accomplish it's goals and ideals to finally place the Harriet "B" on the National Register. Last December the GLSPS applied for a Minnesota Legacy Grant and finally received word that we were awarded this Grant on Thursday, May 28, 2015. The GLSPS has done some preliminary planning to start the process by setting up a pilot project weekend to acquire underwater video for documentation using a drop camera. The GLSPS has invited / hired two Underwater Archeologists from the Wisconsin Historical Society to assist and start the write up for the nomination. The names of the Archeologists are Tamera Thompsen and Caitlin Zant. Tamera is very familiar to the GLSPS and has worked closely in the past on other documentation, write ups and nominations to the National Register. Caitlyn is a most recent U/W Archeologist Graduate from the University of Wisconsin Madison with a Masters Degree in Underwater Archeology. She is assisting Tamera with this nomination. It's good to see young people still interested in this field. 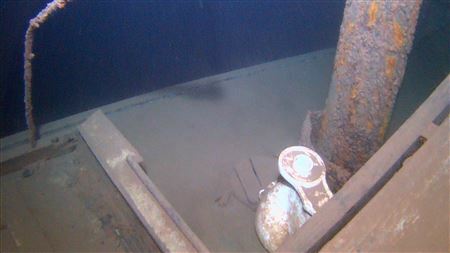 The Harriet "B" project filled up very fast because of the GLSPS Captain and Crew needed for the RV Preservation along with the official personnel (Archeologists) required to start the necessary write ups to complete the documentation needed to nominate this shipwreck. The RV Preservation had a lot of tasks needed to be completed to be able to use it on this project. After five long and grueling weekends in May, we were able to launch the boat on time again this year. The GLSPS volunteers just got it launched at the last minute this year because of the three large tasks needed to be completed. We were right under the wire. We were still able to have our Membership Appreciation day BBQ and cruise to the harbor event. We are proud to say the boat is ready for the upcoming season and most importantly, the Harriet "B" Survey the very next week!! We bid the Leader, Crew and Archeologists good luck on this very worthy project. May the winds be behind you. We hope to see members participating in future documentation projects. The Harriet "B" Project was survey and documentation project. Participants were, Jerry Eliason (Project Leader) Tim Pranke and Jim Christenson, (GLSPS Crew) and Bob Nelson (boat Operator). The GLSPS also invited two Archaeologists to join them, Tamera Tompsen and Caitlyn Zant to help with the survey. The equipment used was a very specialized drop camera designed and built by Jerry Eliason and his son Jarrod. Thank you for the use of your equipment! This equipment was used to perform the necessary video to survey and document the shipwreck for the Archaeologists Tamera and Caitlyn to create a site drawing to nominate the shipwreck to the National Register of Historical Places. The weather mostly cooperated except for a little wind from time to time creating waves that dampened some of our searching and surveying. This project had two official scheduled dates and most of the surveying was complete. However, more video was taken privately in between time by Jerry Eliason to verify other questions we had about the Harriet "B". Thank you Jerry for taking the extra time to shoot more footage of the shipwreck! In closing, after we completed both weekends of underwater video surveying, we were able to gather enough information and video to provide enough information for the Archaeologists to complete the site drawing over the 2015 - 2016 winter. After the site drawing is finalized and completed, the Harriet "B" will then be nominated to the National Register of Historical Places.